There are many benefits to purchasing an ASGC Card each semester. The ASGC Card can be used as a primarily identification card both on and off campus. By purchasing the ASGC Card, students can get special discounts and privileges including, but not limited to, discounts at local businesses and access to cardholder-only services at Gavilan College. 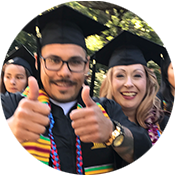 Revenue collected from the ASGC Card is used to maintain and strengthen existing programs and to establish new ones that will enhance students’ academic and social experience at Gavilan College through the ASGC. Events such as Multi-Cultural Week, guest speakers, leadership conferences and many more campus activities that are open to all students who attend Gavilan College, are made possible from the purchase of the ASGC Card. Below are just samples of the benefits of having an ASGC card. ASGC card fees help support campus activities and club events. Free scantrons and/or green books Students must pickup these up in the ASGC Office during scheduled office hours. ASGC cards can be purchased when registering on your myGav account or in person at the Gilroy, Hollister, or Morgan Hill locations. Students may also choose to "opt-out" of the ASGC card fee each term during the registration period. The cost of the ASGC card is $6.00. 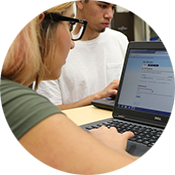 The ASGC Card can also be activated as your Gavilan College library card. Thank you for supporting the Associated Students of Gavilan College!